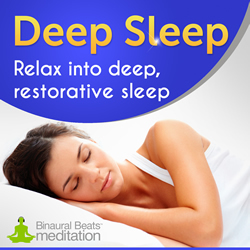 If you are looking for great binaural beats for sleep, welcome to my Sleep Salon review. Following a period of not sleeping very well, and feeling the effects, I obtained a copy of the Sleep Salon. 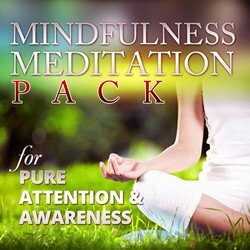 It’s a set of audio mp3 files that use special sound techniques to help you remedy the reasons for not sleeping well and to help train your brain to back to sleeping in a regular way. Here’s my summary of what the program is and how I’m finding it. How many levels: Not levels but sessions. The user guide explains how to use them. Pro’s: No “one size fits all” set routine but different sessions you can mix and match to tackle your specific sleep problems, no need for headphones as technology works without them, powerful isochronic tones for sleep, 30 days no-quibble purchase guarantee. Cons: None but you may need to experiment with the sessions to get it right for you. Although still not defined precisely by science, sleep is believed to be crucial in the growth and daily recovery of many of our systems, including immune and nervous systems. But we know for sure that it is critical in all of life’s adventures and without a regular amount of it, our whole lives suffer. Each night we go to bed in hope of a great night’s sleep. Some people seem to manage this without any effort at all. Others seem to spend night after night tossing and turning and unable to get the benefits of good sleep. If you get a good sleep, you feel more alert mentally, enjoy better health, have a stronger immune system. You may also be able to cope with stress better and may feel happier in yourself. Sleep deprivation, on the other hand, can result in a whole host of unwanted effects including memory loss, irritability, weakened immune system and a loss of judgement. Ultimately without sleep you will die. Tests on rats have proven that if they are kept awake they will die within two weeks. It takes longer for them to starve! But generally, except in extreme and often short term circumstances, people don’t usually deliberately deprive themselves of sleep. Life does it for them. At times in your life your sleep can suffer. Stress at work or home, long working hours and family strife are just a few of the reasons our minds can disrupt our normal sleep patterns. And that’s where Sleep Salon comes in. Sleep Salon is a series of brainwave entrainment audio sessions. Brainwave entrainment uses special tones to influence your brainwave patterns and guide them to the natural state when you are enjoying good, natural sleep. You can find a good explanation of the different brainwave states and an explanation of the different brainwave entrainment methods here. You can get binaural beats for sleep which require headphones to be effective and you can get isochronic tones for sleep. Isochronic tones do not need you to use headphones for them to be effective. The Sleep Salon consists of a variety of sessions which you can choose from, depending on what you need to achieve with them. You will use the sessions differently if, for example, you are suffering from chronic insomnia, than if you are just experiencing a period of temporary sleeplessness. What are the Sleep Salon sessions? The set is made up of two relaxation sessions, eight sleep inductions and two wake up sessions. Relaxation sessions are included because in order to enjoy good sleep, the brain needs to be primed for it during the day. You will sleep better if you have spent the day in a relaxed manner, and can overcome the stresses and busy thoughts you may have during the day. There is a session to reduce stress and anxiety and a session to help you relax and train your brain to get ready for sleep. Each of these sessions has a very specific focus so that you are able to pick and use the ones which will help you solve your sleep problems. For most people, the favourite and most used session will be the Sleep Induction with night sounds. 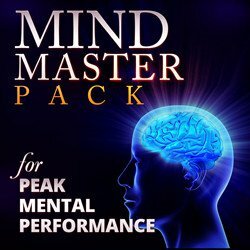 This session is the most general solution to achieving high quality sleep and is designed to be listened to while lying in bed. It will gently guide your brainwaves down to the level they need to be to enjoy healthy deep sleep. It uses a variety of night sounds and is very relaxing. It may seem a little strange to have wake up sessions in a binaural beats sleep program but they are there for a very good reason. They can help you stay awake so that you are able to sleep when you need to sleep. They can also help counteract the effect of poor sleep by naturally stimulating your brain and perking you up. The User Guide explains each session in great detail. 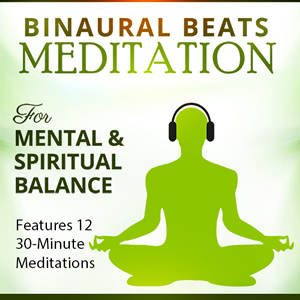 How do I use these binaural beats for sleep sessions? Firstly, there are a set of general listening instructions which focus around minimising distractions, getting comfortable, relaxing and so on. These are important and useful. Secondly, and more importantly, are the ‘Sleep Salon Prescriptions’. These are seven predefined listening routines that are specifically designed to tackle the seven most common sleep disorders. Each prescription begins with a statement that a sufferer might say to help you identify your type of sleep disorder. It then goes on to explain how and why this particular state comes about and how to get back to a normal sleep pattern. It then completes the prescription by giving you the exact sessions to listen to during the day and evening to help you beat that particular sleep problem. Each prescription is comprehensive and you are not left unsure of how to use the sessions to help you solve your sleep problems. Sleep Salon Review – What does it cost and is there a moneyback guarantee? The Sleep Salon costs $37 for all twelve sessions and the User Guide instructions. There is a 30 day money back guarantee. Try the product for 30 days and if it hasn’t improved your sleep, you can get a full refund. I find this level of product commitment very encouraging. I must admit that I didn’t have a big problem with sleeping. Nevertheless, the general prescription improved my sleep and returned my sleep to a more normal pattern. Bottom line, $37 isn’t a lot to pay if your enjoyment of life is being disrupted by poor sleep. The audios are high quality and powerful. The instructions are precise and you have nothing to lose by giving it a try. If you have a question, send them an email and their support team will respond promptly to help you. I fully recommend Sleep Salon. 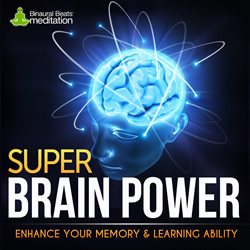 If you are interested in more brainwave entrainment audios, see my Zen12 Review or look into my comments on the binaural beats for concentration product, Nitrofocus. I hope you enjoyed my Sleep Salon binaural beats for sleep review. If you did, or even if you didn’t, drop me a comment and let me know what you thought. I’d love to hear from you.